• 1982 – Unity Food Bank, the original name of today’s Second Harvest of South Georgia, was founded to provide local non-profits with easy access to food and services, a B2B of sorts. • 1990 – Unity Food Bank becomes a branch of Savannah-based Food Bank of Coastal Georgia. • 1993 – Organizational changes at FBCG put UFB in a tenuous financial/operational situation jeopardizing the facility’s survival. UFB board hires Franklin J. Richards, II, to redevelop and revitalize the Valdosta facility. • 1996 – Operational and financial success make it possible for UFB to separate from FBCG. 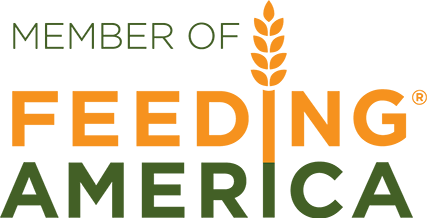 Out from under FBCG, UFB becomes the Valdosta Food Bank, an independent subsidiary distribution organization in the America’s Second Harvest network (now Feeding America). • 2000 – Valdosta Food Bank earns accreditation as a member of the America’s Second Harvest food bank network and becomes Second Harvest of South Georgia, operating in a 10 county area. • 2010 – Feeding America rewards SHSG’s success by expanding our service area to cover 30 counties with branch locations in Albany, Douglas, and Thomasville.